Top off your GM Ignition system with these great new replacement coils. The GM Coils have MSD performance in factory style housings! MSD designed these Coils by combining our Blaster Coil experience with E-core coil efficiency. Each coil has a unique turns ratio plus there is lower primary resistance than the stock coil. This all amounts to a bolt-in replacement coil that produces more output voltage. The Coils will work with stock ignition systems as well as MSD equipped cars and trucks. 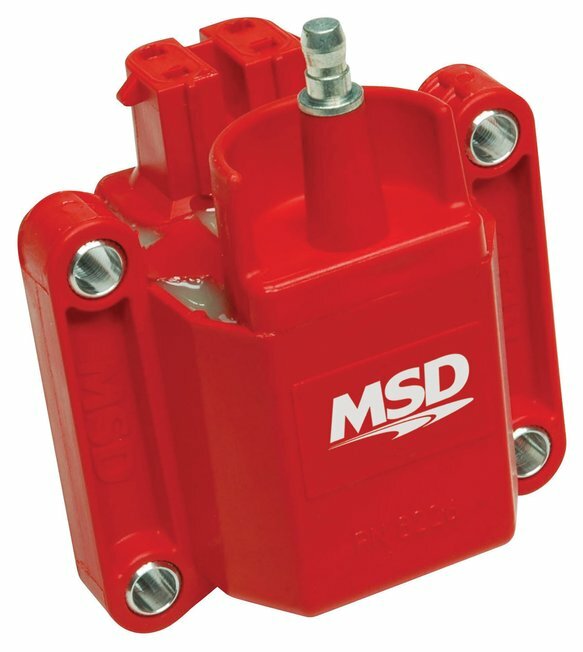 Installation Tip: If you plan to install an MSD Ignition with your GM Dual Connector Coil, use a PN 8876 Harness for a direct plug-in installation.